If you talked to a bunch of random strangers on the street today, they’d probably tell you that 2016 hasn’t been a great year. There are all sorts of reasons why that might be, but gaming isn’t one of them. No matter how crappy everything else was, 2016 has been a fantastic year in gaming. So many great and wonderful games game came out this year that we gamers were drowning in really good experiences throughout. As usual, this is a list of games that I present in no particular order (it’s decided by a random number generator). And just because a game doesn’t appear on this list does not mean that it is a bad game. All it means is that either I didn’t play it, or it didn’t leave a strong impression on me. It’s hard to tell if it was poor or excellent timing that this game came out shortly before Dark Souls 3. Either way, it very accurate translated the feeling and mechanics of Dark Souls onto a 2D plane better than I had even thought possible. 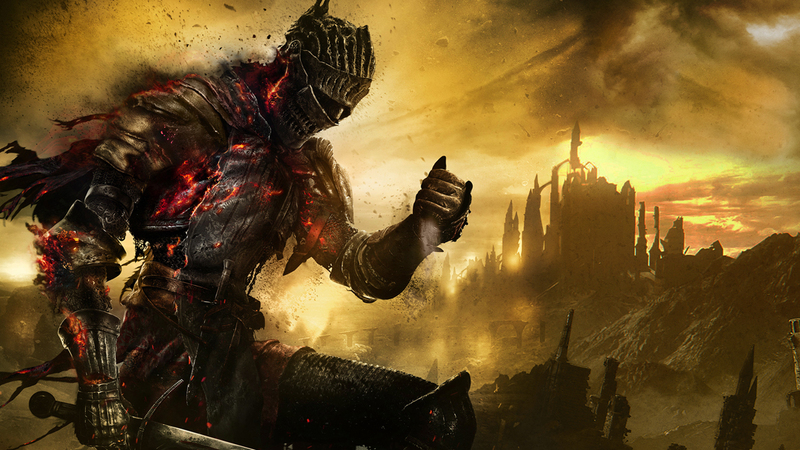 Though I only spent about 10-15 hours with the game, bouncing off to play Dark Souls 3 when it came out in the weeks afterwards, there’s no denying that it both left a strong impression and helped me transition back into the “Souls” mentality. 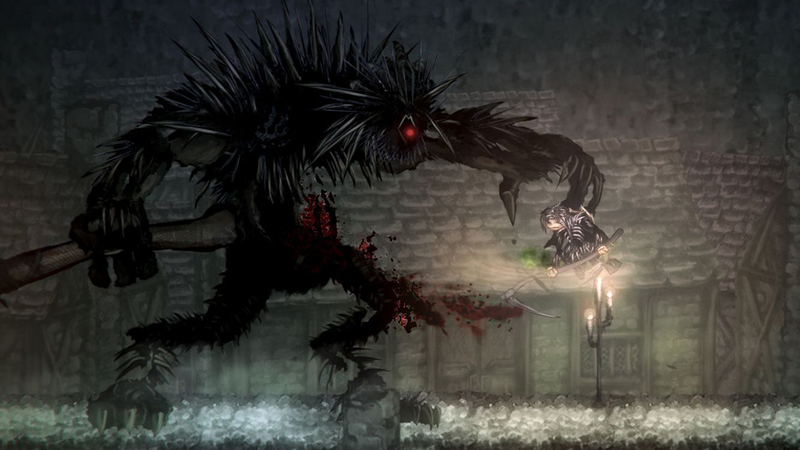 With a host of varied enemies, clever setups, and tough but fair bosses, Salt and Sanctuary deserves mention as one of the highlights of 2016. World of Final Fantasy is one of those games that almost feels like it has no right to be as charming as it is. On the surface, every single thing about it makes it look like a cheap cash-in on the nostalgia of Final Fantasy fans. And while it does indeed rely on that nostalgia to draw people in, there’s a solid JRPG at its core. The monster capture/stacking mechanics of the game aren’t the easiest things in the world to explain to a friend over lunch, but it’s the kind of thing that players understand once they see it in action. There is a lot of depth to the customization and combat in World of Final Fantasy. The story is a little bland, but it serves as a good excuse for characters from many different Final Fantasy games to get together for some crazy antics. I found myself genuinely laughing very frequently with the game’s sense of humor. The occasional fourth wall breaking moment and lampshade hanging goes a long way towards this game’s undeniable charm. 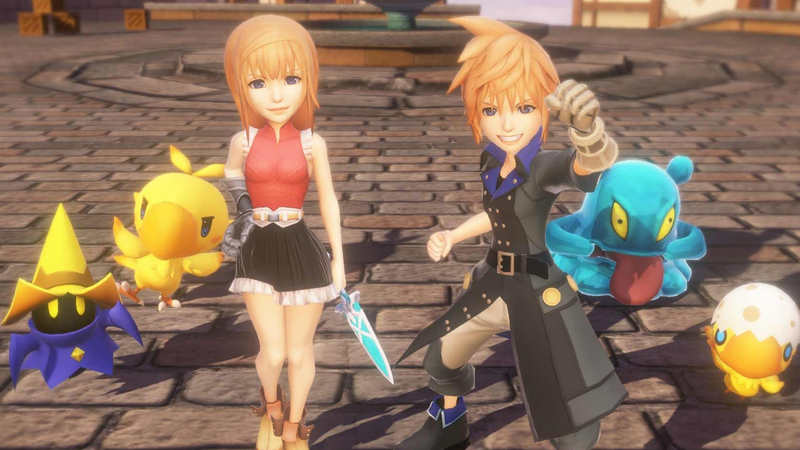 While flawed, World of Final Fantasy is a gem that shines through its blemishes. I would be remissed if I didn’t give it at least a mention on this list. I normally hate multiplayer shooters with a ferocity that borders on irrational, but after I played an hour or so of the beta for Overwatch, I was instantly hooked. I don’t really have to explain to why Overwatch is on my 2016 Highlight List, but let’s do so anyway for the sake of it. Overwatch takes the greatest mechanics of class-based hero shooters and polishes them to a mirror shine. The game places a heavy focus on working together as a team to complete the objective. Blizzard also made a very smart decision to put a heavy focus on positive feedback, opting to obscure the negative. Combined with the genius “Play of the Game” system, Overwatch always feels like it’s encouraging players, rather than putting them down. And something has to be said for the cast of characters. 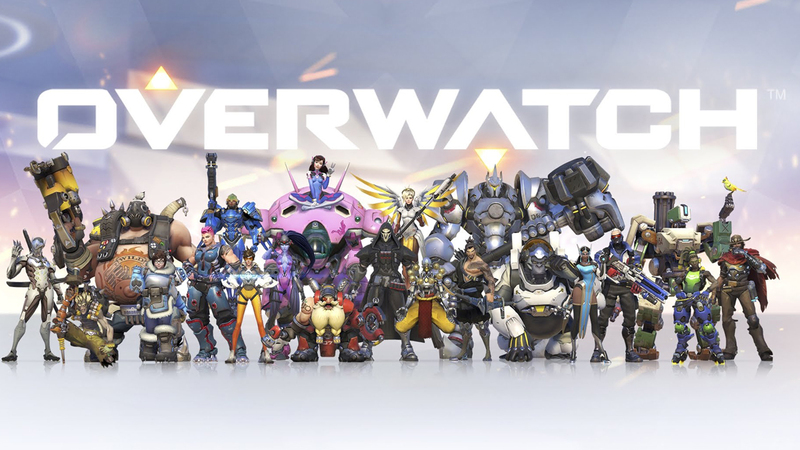 If there’s a reason why Overwatch has transcended beyond being just an excellent team-based shooter and become the sheer phenomenon it has today, it’s the cast. No matter who you are or what you like to play as, there is a character(s) that represents you somewhere in the cast of Overwatch. I have to commend Blizzard’s commitment to diversity in Overwatch, and I look forward to seeing how the game will develop over the next few years. There’s a reason people say that… beyond the fact that the game commands players to tell their friends that once they beat the game. Superhot is one of those games where once I played it, I was honestly surprised that no one had thought to do something like it in a shooter before. 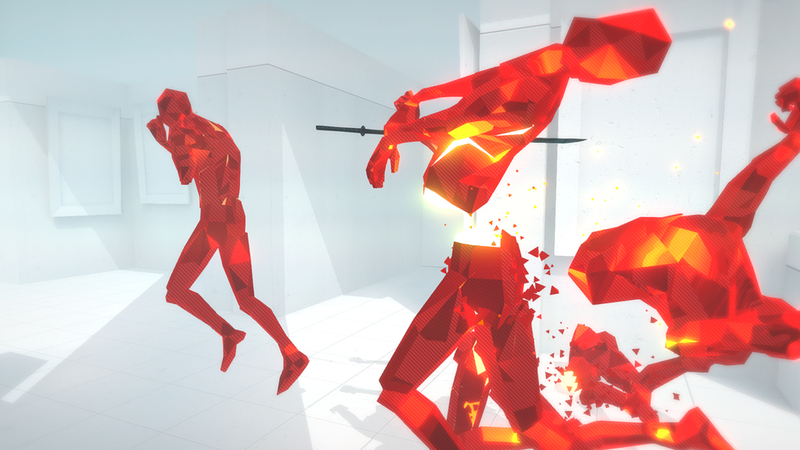 Superhot makes the player feel awesome in a way other shooters tried, but never came close, to. I have very clear memories of punching a gun out of a dude’s hand. Then, letting his friend, who was aiming for me, take him out with a single shot. As the body started to drop, I fired a shot towards the second guy, then threw the gun at him, took *his* gun, then fired another shot at a third target, who was coming in with a shotgun. No other game out there lets players perform the kind of choreographed ballet of death and destruction that Superhot’s “time moves only when you move” mechanic sets up all the time. Whenever I finished a stage, and saw the full playback in real-time, I just smiled at how absolutely badass I looked. On top of how insane the game’s story can be, Superhot deserves mention as one of the biggest highlights on 2016. My love of the first Dishonored is no secret. It’s the first (and only) video game that I have done a text LP for. So when a sequel was announced that was “more Dishonored, but better”, I squealed. And there’s no doubt that Arkane Studios put out a good product this year with Dishonored 2. A lot of gripes I had about the first game and its DLC have been addressed. 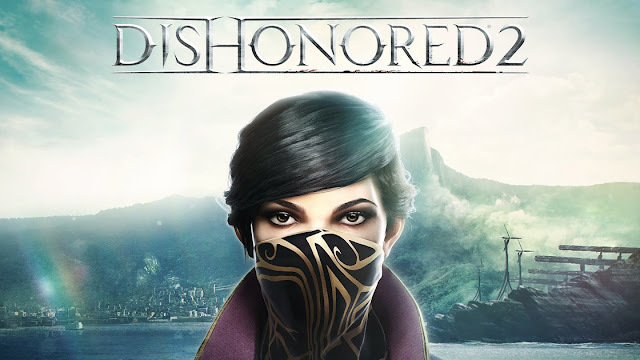 From the ability to still keep to a non-lethal playthrough even when going in loud, to a lot of new powers in new protagonist Emily’s kit, and the ability to play the game without powers altogether, there are many more options to approach the game then the first Dishonored. That’s before you go into the nature of this game as an “immersive sim”, as Mark Brown from Game Maker’s Toolkit calls the genre. It’s always a treat to watch how the AI responds to me when I fumble something. Even better, it’s great to catch them in traps of my own creation, from a simple and quick ambush to truly devious Rube Goldberg machines. With the latest update to Dishonored 2 enabling one of the smartest New Game Plus modes I’ve seen, to the promised addition of custom difficulties later on, I’m eager to jump back in the moment I get a chance. Dishonored 2 earns it’s spot in my 2016 Highlight Reel. 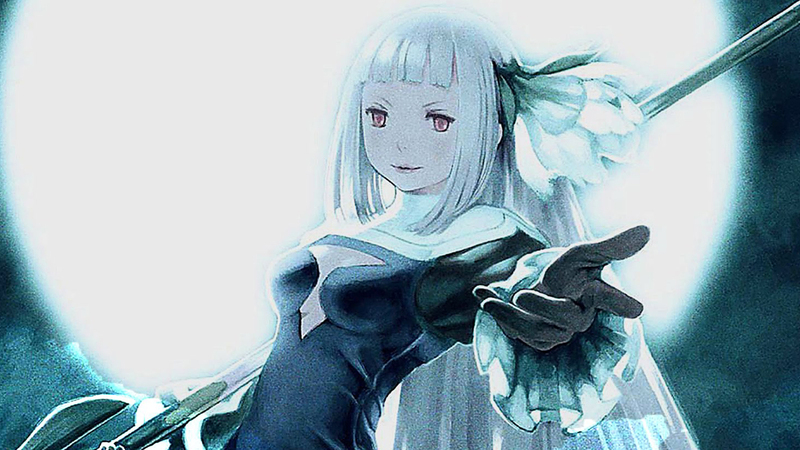 Bravely Second and its predecessor, Bravely Default, are what would have likely happened to Final Fantasy if they had stubbornly stuck to their roots instead of going the direction that of high production values and big budgets that it did. And do not mean that it a way the denigrates either style. With a surprising amount of genre savvy, Bravely Second presents itself as a love-letter to the JRPGs of yesteryear, and I’d recommend it to anyone who enjoyed the NES/SNES-era Final Fantasy games. I know I said in the Overwatch highlight that I rarely play multiplayer shooters, and that’s true. But it’s a testament to both the quality of that game, and Titanfall 2’s multiplayer, that I’d gladly play either of them any day of the week. I had never played the first Titanfall game for a host of reasons, so the game felt completely fresh to me. The two factors that set it apart from other shooters also change the game in very refreshing ways. The titular Titans change the dynamics of the fight, forcing players outside of Titans to stick to the alleyways and rooftops to look for places where they can platform on top and sabotage enemy Titans. And speaking of, just moving around in the map feels so much less restrictive than any other shooter I have played. I’d go so far as to say that Titanfall 2 outshines Mirror’s Edge in terms of parkouring around the environment, maintaining momentum while evading enemy fire. 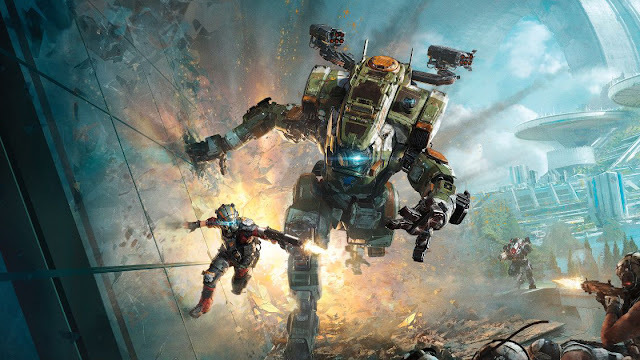 Topping the package off with the second best shooter campaign I’ve played all year, a campaign that is significantly better than it had any right to be: Titanfall 2 is a strong contender as one of the best shooters this year. If you’ve been reading my material for a while, you might know that I have some history with ATLUS. I tend to enjoy their takes on Urban Fantasy, mixed with demons and deities from various mythologies. At first, I didn’t think I would care much about SMT IV: Apocalypse. The story of SMT IV fell flat for me so hard that going back to that world was completely unappealing. On top of that, the protagonist (pictured above) gave me the impression that the developers were going for a level of edginess that was silly even by ATLUS standards. As a played it, the game slowly won me over. It’s not the best JRPG. 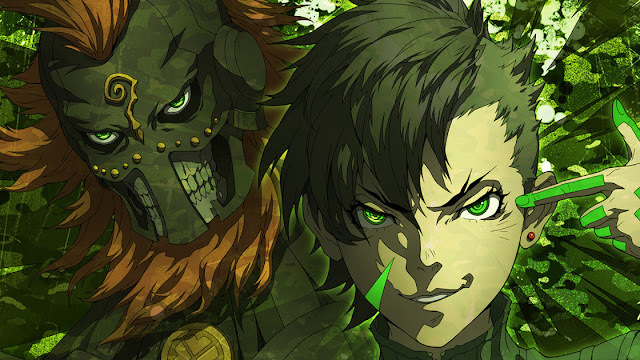 It’s not even the best JRPG that came out this year, but it’s a solid game that fans of SMT and/or Persona shouldn’t overlook like I almost did. I’ve never seen a game intentionally nail the feeling of dread and discontent quite as well as Darkest Dungeon. I love and hate Darkest Dungeon in equal measure, and I’m sure that’s exactly what it wants from me. There’s nothing more harrowing and terrifying than watching in vain as my valiant team of heroes slowly unravels under the stress and pressure. Every dark cultist, reanimated skeleton, or eldritch horror is a tense struggle for life and death. 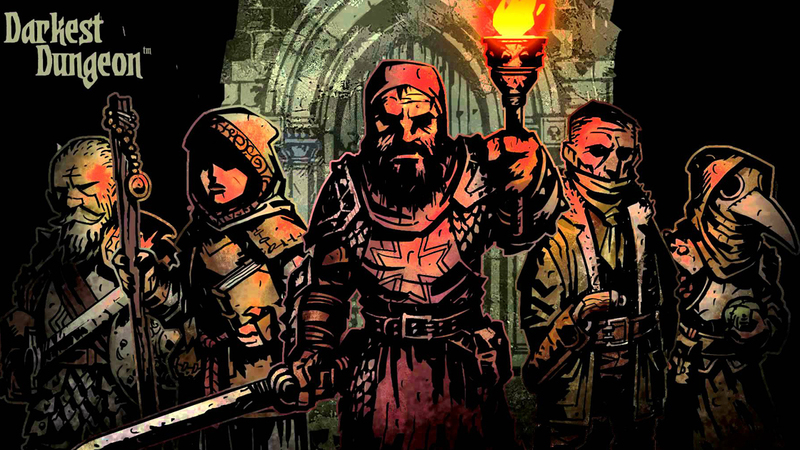 Armed with a verbose and grim narrator and an eerily macabre presentation, Darkest Dungeon isn’t for everyone, but it is very good at what it does. Do you remember earlier, when I said that Titanfall 2 was the *second* best shooter campaign I played this year? Well, as amazing as that campaign was, it pales in comparison to the campaign in DOOM. 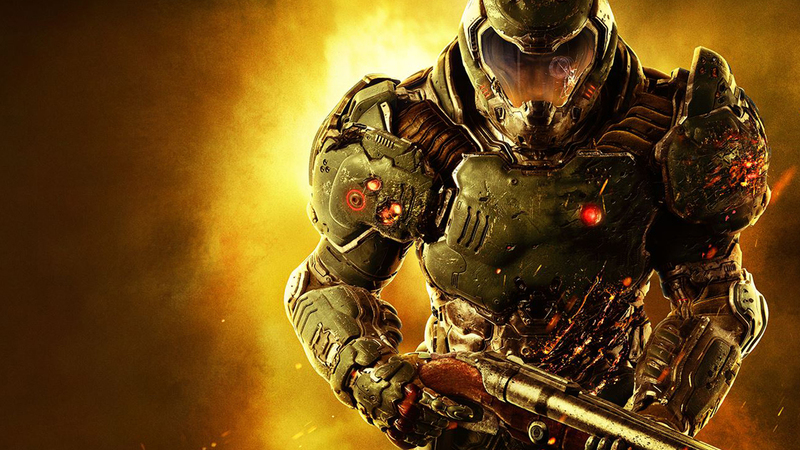 DOOM knows what players want to do: Kill demons with implausibly awesome guns. And it delivers that in spades. Every single area in the game is so tightly designed for maximum murder potential that I couldn’t help but smile and laugh for most of the campaign. Every element, from enemy layouts, weapon design, secret locations, and even the health/ammo systems add to the experience of being this badass “Doom Slayer” out for demon blood. And that’s before I begin talking about how well-written the actual story to DOOM’s campaign is. Id managed to give DoomGuy more personality than I could ever imagine, without having him utter a single line of dialogue throughout the entire game. The way he plays off the other characters is genuinely funny, and effectively as selling the game’s mood while tying it to the previous DOOM games. Despite a forgettable multiplayer and the underwhelming SnapMap system, DOOM was hands down my favorite shooter of the year. 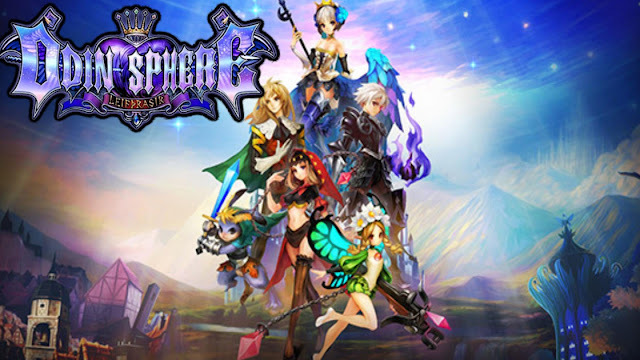 A remake it may be, but Odin Sphere: Leifthrasir is still an extremely polished and impressive package. As pretty as the original game was, translating it’s artwork in high definition graphics gives it a truly breath-taking, awe-inspiring look of its own. There’s no denying how much love and care went into this update to what I consider to be one of the best PS2 games. But Vanillaware wasn’t content to just stop there. Leifthrasir is more than just a visual upgrade to Odin Sphere: It is a refinement. Taking all the lessons learned from Dragon’s Crown and Muramasa: The Demon Blade, Vanillaware stepped up their game to provide updated combat systems, improved leveling and upgrade mechanics, and a much smoother game on the technical side. If you ever thought that you might be interested in giving Odin Sphere a try, you’d be hard pressed to find a better time than now to take the chance. I did not want another Uncharted game. 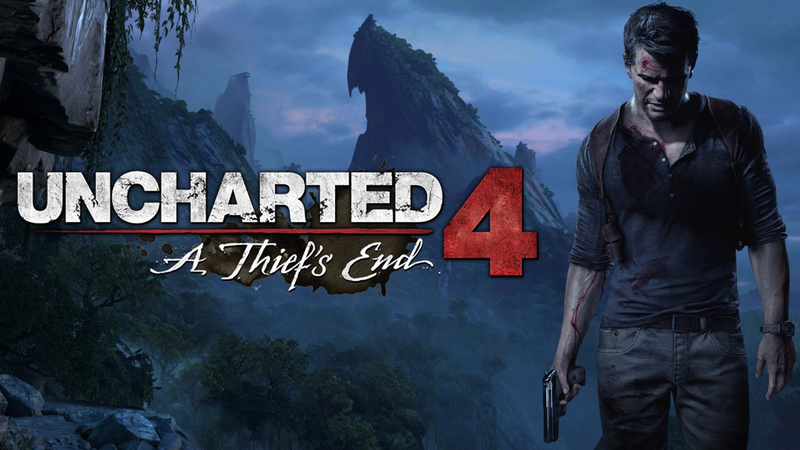 The third game wasn’t the masterpiece that Uncharted 2 was, but it did a pretty good job at ending on a note that I thought was good for the series as a whole. But holy hell, Uncharted 4’s story one of the best I’ve played this year. I was afraid that with Amy Hennig no longer writing for the series, that it would lose the charm that it had for me in the past. Fortunately, Neil Druckmann and Josh Scherr penned a great final chapter for the series. The game has a gravitas and finality to it that I cannot deny. I might not object to new adventures in the Uncharted universe, but I think I’m content to let go of this cast of characters once and for all. Final Fantasy XV is one of the most bizarre games I have ever played. 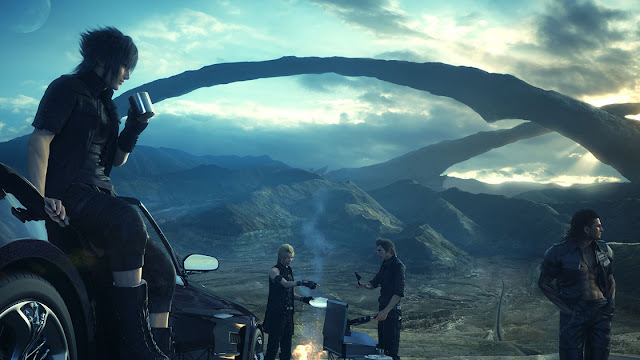 There aren’t many things that compare to the feeling I had when I started my journey, only to have 4 Japanese boy band members push their car in what looks like an American desert, to a really good cover of “Stand By Me” as the phrase “Final Fantasy XV” fades onto the screen. This game is far from perfect, and has a number of deep-seated flaws, particularly in the final chapters of its story. That said, I can’t deny how much enjoyment came from “hanging out with the boys” as we went of the road trip of a lifetime. The world of Eos is this fascinating mixture of medieval fantasy, mild steam/future punk, and the American west that I couldn’t help but want to inhabit and learn more about. It’s surreal to drive your car to a rest stop to refuel on gas, stop by the convenience store to buy Potions and Elixirs, then stopping by the diner for a quick bite to eat as I hit him up for information about the latest monster bounties. This surreal east/fantasy meets west/reality extends to the game design. While it’s obvious that this is a Final Fantasy game through and through, it owes a lot of it’s game design to western RPG influences, like The Elder Scrolls and The Witcher. It’s something that I found compelling enough to spend 50 hours in, and even though I keep telling myself I’m “done” with the game, there’s always a voice in the back of my head compelling me to reinstall it and keep questing. As strange as it is, and as tortured a dev cycle as it went through, Final Fantasy XV has stayed with me long after I finished playing it, and that can only be a good thing. As someone whose YouTube collaboration began by expressing harsh critique of Far Cry 3, and as someone with a storied history with Ubisoft, I felt compelled to play Far Cry: Primal out of some moral obligation more than anything else. Despite its over-inflated price point, Far Cry: Primal’s open world felt more core to its design than any other Ubisoft open-world game I’ve played since the original Assassin’s Creed. 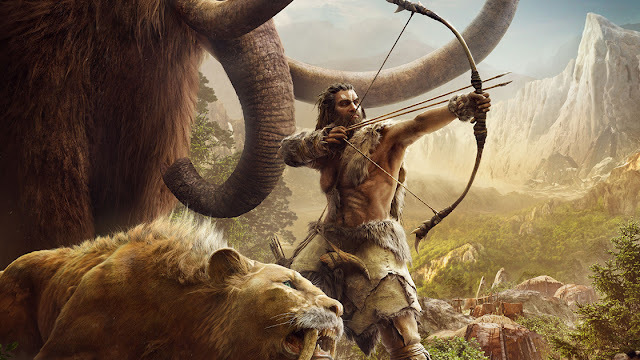 In a very real way, the act of growing stronger by participating in side missions and option objectives is the main mission of Far Cry: Primal. As the leader of their tribe, players are tasked with taking out the leaders of the other 2 warring tribes and securing their position in this harsh, unforgiving world. That’s all there is to the story. Everything along the way exists only to prepare players for the mission to take out the other faction leaders. With no main narrative hook fighting against it, Ubisoft’s patented open-world format was finally free to get its hooks in me for the first and only time. Even if you’re sick of Ubisoft open-worlds, Far Cry: Primal is a small enough dose executed well enough that it might let you enjoy it more than you ever have before. I wouldn’t call Dark Souls 3 the best game in the Soulsborne collection. At the same time, it feels like a proper sendoff to the series after being in the spotlight for so long. It’s a nostalgic game, rooted in the lore of its forebears, but it is still an impressive piece of work. It’s a testament that aside from Salt and Sanctuary, no game out of those who tried has really been able to imitate the Soulsborne formula with any form of success. From Software truly is the best and what they do, and that’s weaving worldbuilding and level design together in a frighteningly cohesive package. That said, like with Uncharted earlier in the list, this marks the point for me and many of my close friends where fatigue has started to set in with Dark Souls. I feel quite strongly that if they want to continue with this formula, they will need to revitalize it in some way. 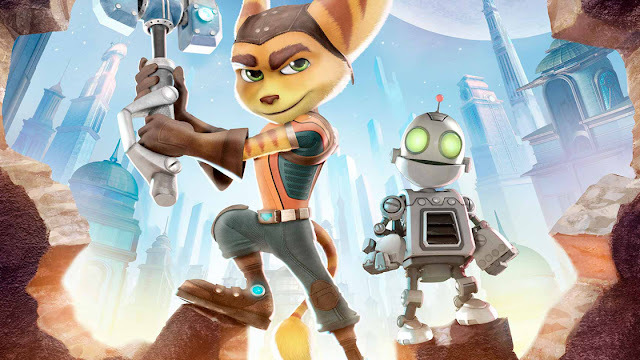 Ratchet and Clank is a series that I grew up with. I have many fond memories of the franchise, and how I connected to others with it. This reboot of the first, that exists to tie-in with the movie, is a love letter to all those fond memories. Ratchet and Clank has never felt as tight and polished in terms of gameplay as it has here, in the 2016 reboot. The movie may have been forgettable, but the game shows that this franchise still has life in it, so I feel it deserves to at least have a mention here. I was wondering how long it would take for the random number gods to give me a chance to talk about this beautiful game. If there is a game to define my past year, it would be Hitman (2016). I’ve played through every single Hitman game that has ever come out. For years, Blood Money, with its sheer openness and vast array of options in how to approach targets, was undisputed as the best game in the franchise by a landslide. After Hitman: Absolution, where it seems that IO had lost their way, it seemed like things would stay that way. When this game was announced, it didn’t seem like it would change that either. With Absolution the most recent memory, and the weird announcement that it would be episodic, few people thought this next entry in the franchise has much of a chance. But lo and behold, IO managed to blow all expectations out of the water and make not just a game, but this weird critical phenomenon. It’s hard to find a gaming outlet that doesn’t have a dedicated fanbase for the new Hitman somewhere in their ranks, and there’s a good reason for that. Hitman (2016) has captured the feeling of creative, improvisational murder better than any of its predecessors could have ever hoped to. And the episodic model we all thought would fail ended up being a huge benefit to the game. I’ve gushed about this game for months now, so distilling every single thought into a couple of paragraphs feels cheap. 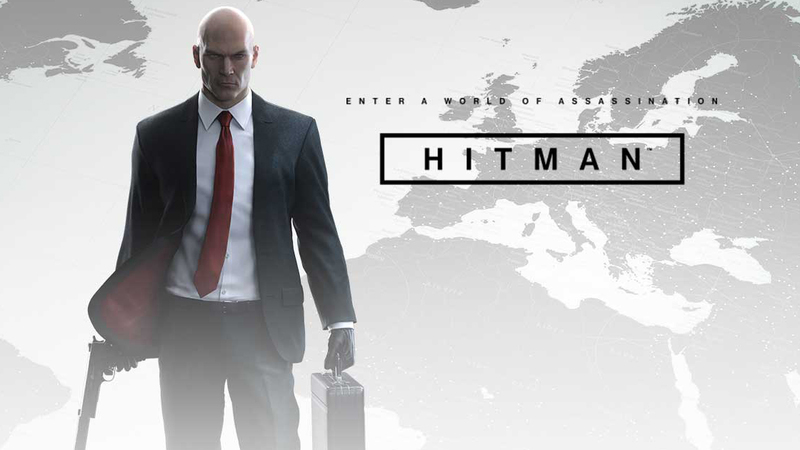 I feel that this is the best Hitman game that has ever been released. Needless to say, if I had a Game of the Year, this would be it. 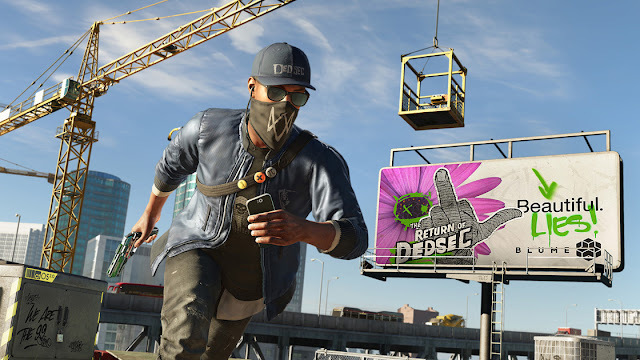 While Watch_Dogs 2 probably won’t win any Game of the Year awards, it is stronger than the first game in, quite literally, every single possible way. The protagonist has a much more interesting backstory and comes off as so much more likeable and charismatic than Aiden Pearce could ever hope to. I also had attachments to the supporting cast than I would have never expected after watching them in the trailers. Even the character with “emoji-goggles” found a way to endear himself to me. They’re a personality here that just wasn’t present in the original Watch_Dogs, and it makes me hopeful that Ubisoft can turn around what I previously thought was a sinking ship. And there you have it. These games form my Highlight Reel of 2016. There might be a lot of games on this list, but that’s only because of how wonderful 2016 has been in the gaming space. Judging by the next few months, it looks like 2017 is shaping up similarly.